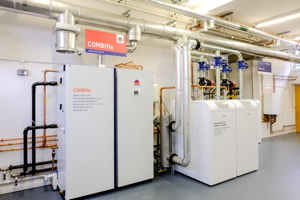 Dan Martindale discusses how engineers can keep up with ever-changing requirements around commercial heating, and why lives may depend upon it. Gas safety is an important issue that everyone needs to be aware of, but all too often it is seen as an issue for the domestic sector. However, with commercial plants usually much larger than their domestic equivalents, the repercussions of a heating system fault could potentially be much more serious. The Health and Safety Executive (HSE) is currently the body responsible for implementing all the rules which keep people safe while they’re at their place of work. Strict penalties are imposed on those who allow, through negligence, accidents to occur – the most severe of which can result in two years imprisonment and an unlimited fine, under the Health and Safety (Offences) Act 2008. Nevertheless, with legislation constantly evolving, it can be difficult for building engineers to keep up with requirements. That’s why gas safety training is increasingly becoming essential for engineers of all ages and experience. With commercial properties the lease should determine who has responsibility for gas safety: tenant or landlord. If you as landlord (or agent) have supplied the equipment and taken on the service responsibility you should arrange for annual maintenance and a Gas Safe Registered Engineer check. A system of annual checks and maintenance should be implemented for all gas appliances. Use only a Gas Safe Registered Engineer for installations, maintenance and gas safety checks. And ensure safety check records are maintained, keeping copies for at least 2 years, and issuing copies to the relevant person responsible within 28 days. Keep up to date with the latest regulations because changes to the regulatory framework can catch you out. For example, when it comes to water heaters, for many years now it has been illegal to install instantaneous water heaters which are not room-sealed or fitted with a safety device which automatically turns off the gas supply when toxic fumes build up. Manufacturers can play a key role in helping to boost engineer knowledge and expertise with product-specific training. With often substantial differences in protocol from one brand to another, it is important that all appliances are installed in accordance with manufacturer guidelines. This is why it is so crucial that engineers undertake regular training delivered by the manufacturer of the products they are working with. As a result, engineers will feel more confident about working with those products, which will make their lives easier and result in a better service and improved safety for the end-user. They also get the opportunity to network with their peers, share knowledge and experiences, and potentially form new business relationships. Manufacturer training courses offer the opportunity for engineers to ask questions about existing and upcoming legislation that may impact on their work. It’s not enough just to become accredited and start doing gas work; engineers should make sure they know everything about the products they’re working with. 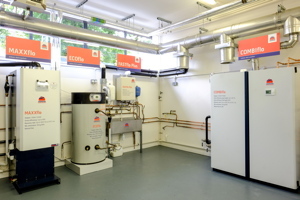 For many businesses, a continuous supply of hot water is essential to the smooth running and day-to-day operation of the organisation. Servicing, maintenance and water treatment requirements should be top of mind in the case of commercial water heaters. It is estimated that a hard water supply affects around 60 per cent of the UK population. This means that water has been contaminated by magnesium and calcium minerals from the environment before it reaches the mains and makes itself known through limescale deposits. While these deposits can be unsightly, they are only the tip of the iceberg when it comes to the dangers of an abrasive water supply, which can hit just as hard in heating and appliance maintenance costs as it does with a cleaning bill. Water heaters are particularly susceptible to limescale formation because it develops rapidly at higher temperatures. The occurrence of limescale in a hot water system can be minimised by implementing an effective, regular water treatment programme as part of any maintenance schedule right from the start. However, it is important to recognise that certain building services professionals will have skills and knowledge that differ from business to business. For example, a hospital or care home is likely to have an on-site facility manager who is well versed in heating maintenance. On the other hand, the person in charge of arranging engineer visits may be the administration manager or secretary. Nevertheless, it is equally important that both are aware of the importance of safe operation and regular maintenance because making sure the unit is performing at optimal efficiency can prevent faults from developing. Most quality manufacturers guarantee products for two years, including parts and labour. Remember that if there is a problem, there’s a team of qualified engineers on hand to help diagnose and repair any fault that may arise. In case of emergency, employees should be advised on how to recognise the symptoms of CO poisoning. The symptoms include headaches, nausea and dizziness; very similar to common ailments such as flu, food poisoning and viral infections. With a new generation of water heater products offering unprecedented safety, it can be easy for building services professionals to feel that gas safety is a given. However, there’s always a danger with any gas appliance and proper maintenance and servicing is critical. Training offered by manufacturers is a simple, effective and often free way for engineers to stay up-to-date with what’s going on in the industry and constantly refresh their skills. Ultimately, this means that safety standards are improved and that can only be seen as a good thing for everyone in the industry.